Beautiful blades with intriguing handles. I have a bit of a love affair with knives and a family interest in bladesmiths. My uncle is building up a name and following amongst knife enthusiasts (Carey Blade), with my father and brother considering mentoring with Uncle Peter down in Texas. I have not been gifted with a family forged knife, and my uncle has so much work in his hopper that he is not currently taking orders, even from family. That leaves me with my trusty friend, Mike, a Spyderco CPM S30V made in Golden, Colorado. I think he’s some form of their Military G-10 series, but it’s hard to pin down since he’s been with me for many years. The knives available from Logan Pearce are pretty wonderful. 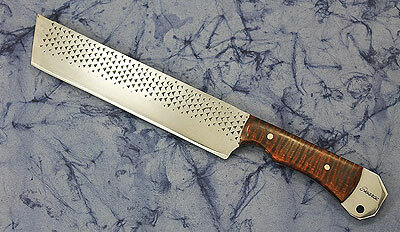 Like his grandfather who taught him, he creates some of his blades with handles made from well-known everyday objects. Rebar, horseshoes, wrenches, bolts, even railroad spikes. 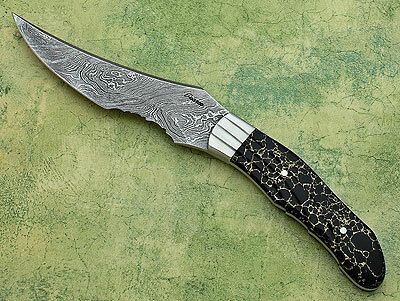 The blades on his “remnant” pieces often feature a graceful and aesthetically pleasing swoop. Nearly all of them look like they will feel good in your hand. And if you are looking for something more unique and eye catching, his real show stoppers are listed under Art. Not into knives, but like metal smithing? 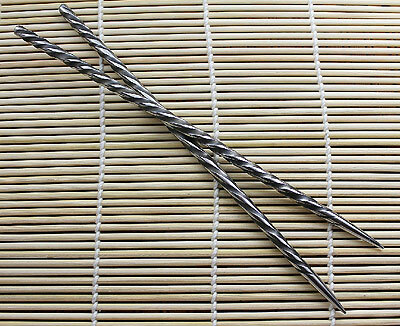 Logan Pearce also offers some very attractive chopsticks.